Pattern: Since this skirt was created as a DIY Friday, here’s a link to the tutorial here. 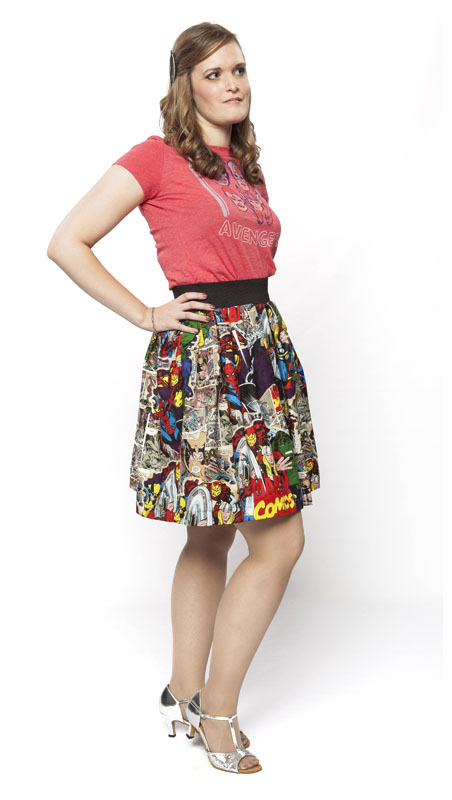 Even if you’re a beginner when it comes to sewing, this skirt will be right up your alley! You can also find some great handmade skirts on etsy in case you’re not quite ready to tackle this project. I got this top at Old Navy and currently they only carry the plus size version online. 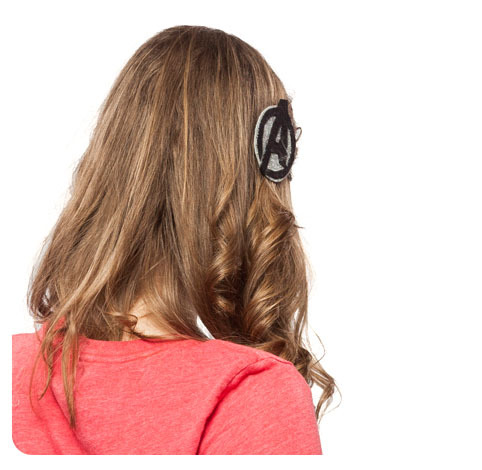 You can also find other similar Avengers tops at SuperHeroStuff, WeLoveFine, or even Hot Topic. I actually bought these shoes for a Captain America USO girl costume I made last year for Comic-Con. I thought it would be a nice nod without being too obvious. If you want a pair for yourself, you can find them here. The hair clip I made myself, and you can find the tutorial here. There’s even this great variation using pre-glittered sheets of craft foam. You can’t really see my jewelry very well, but I was wearing Thor Dangle earrings and a Captain America Shield bracelet both from 1928 Jewelry (which has recently restocked!). I hope you enjoyed the outfit I put together. Next time you’ll see some stuff we haven’t featured on the blog yet. Also, if you happen to be at Comic-con this weekend, come and find us! 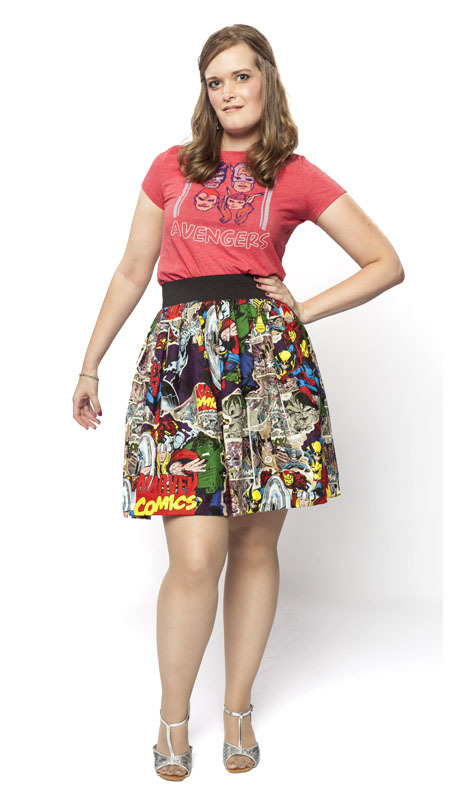 I plan on sporting this outfit for a good portion of Friday, and if you’re wearing a stylish geeky outfit, I’d love to take a picture of you and feature you on the blog! 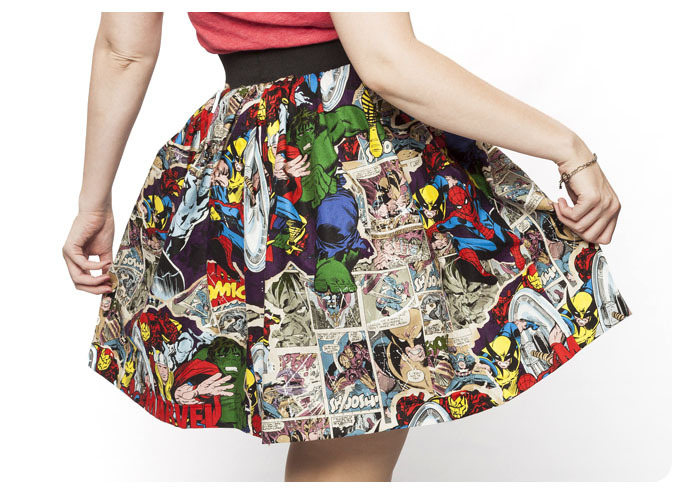 That skirt is awesomeness! I must get one! I lot it! I just stumbled across your blog and I love it! I do a lot of geeky crafts on my site, too. Im definitely going to look for this fabric. If I used it for anything on my site Ill definitely make sure to link it to you that this is where I found it!